There's a slew of really cool denim trends out there right now. We brought you some of the top looks (spoiler alert: cropped flares) a few months ago, but there's one extra to add into the mix: white denim. 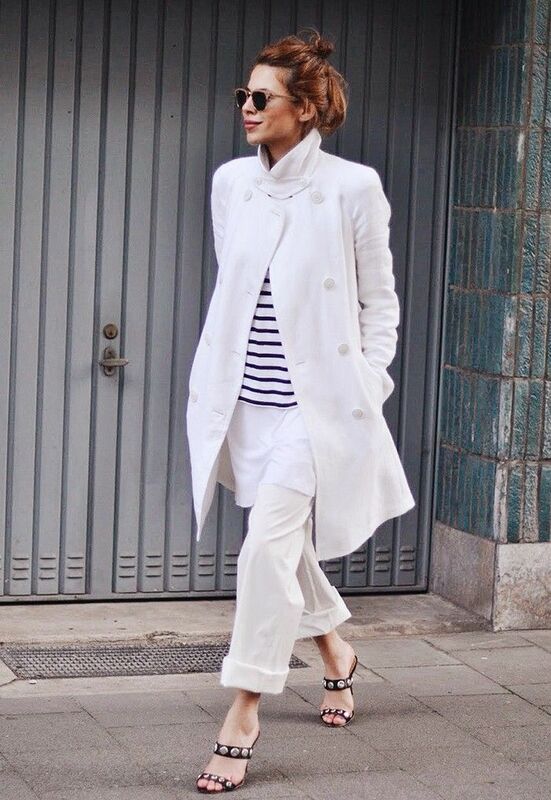 The more we look at the street style set, the more we grow to love this classic, clean look. That's right—some of the biggest fashion A-listers are stepping out in white jeans in different variations, from skinny to wide-leg styles, meaning it's time to get a pair and test them out this summer. Keep scrolling to check out seven different ways to wear white jeans—and shop a few of our favourite pairs, too.